Bring your own picnic and enjoy a wonderful evening listening to two fantastic bands, the high-energy 'Ska-aManga' band and the award-winning 'Kibworth Brass Band'. 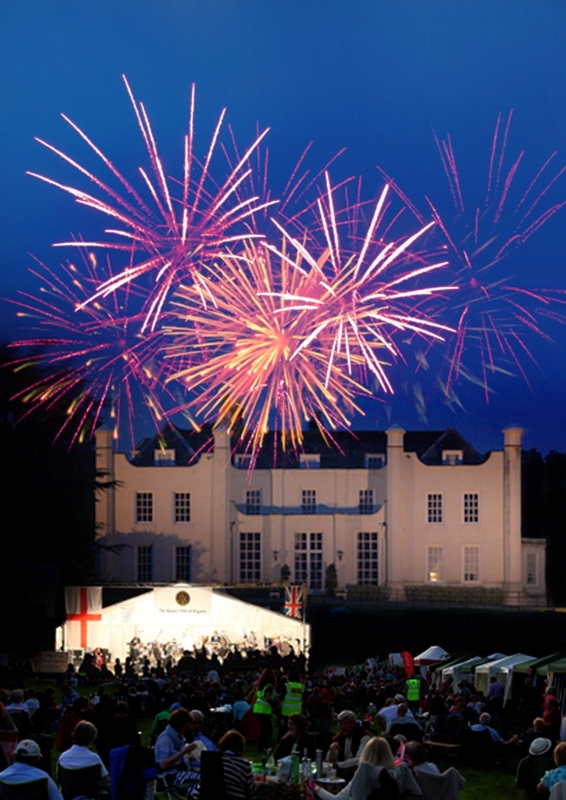 The evening finishes with a fabulous fireworks display in front of Wistow Hall. All ages welcome. The concert is raising money for "LOROS" (hospice) and the charity "Raising Health". The concert is organised by the Wigston Rotary Club, and the compere is Martin Ballard. Rain or shine the show goes on, but if the weather is really bad & windy, check this website on the day for updates.